typische x factor-version. mir gefällts gut, sie haben verdient gewonnen. bin gespannt, wie ihre karriere verlaufen wird! Don't like it and don't like them. British girl groups are just rubbish these days, bring back Girls Aloud. 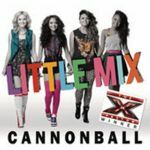 Jolie reprise du girls band gagnant de X-Factor, UK #1. Surprisingly decent but not chart worthy. I like it, nice emotional ballad that the girls handle well. I don't even mind when the beat comes in (although I would have preferred it if it would have been saved for the very final chorus). This is OK but then I'm not a big fan of the original version anyhow. Ich würde sagen - brauchbar.